Parker Jotter Stainless Steel South Africa- A high quality selection from a world-renowned executive brand, the Parker Jotter Stainless Steel pen is an elegant and sophisticated writing piece that feels at home in any professional setting. For a stunning personalised gift that is perfect for executive clients or all-important staff members, an engraved Parker Pen is a fantastic way to connect with clients in a meaningful and functional way. 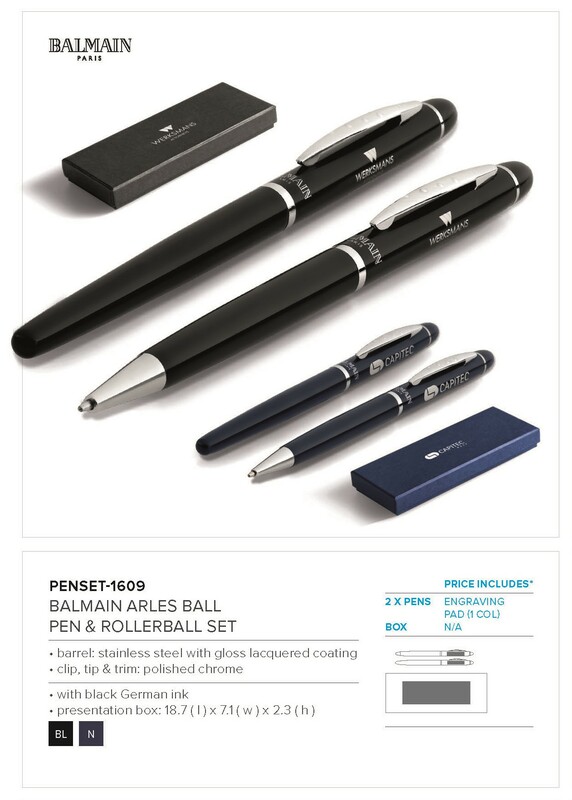 A fantastic branded item that is comfortable to write with every day, the stylish Parker pens range offers only the best writing pieces around. A beautiful pen option that has a wonderfully functional design, this is a sign of excellence in the work place, only given to the most deserving members of your corporate family. Don’t miss out on the Parker Jotter Stainless Steel pen and find out why a Parker pen makes such a great personalised gift, available across South Africa. Order yours today at info@brandinnovation.co.za. BIC Promotional Pens South Africa- The most popular BIC pen option around, perfect for a colourful and useful branded office item, these cost effective pens are great for staff to use around the office. The favourite cost-effective BIC option, the BIC Stic Round Printed Pen is a trusted pen from a world-renowned brand. Known for quality and long lasting items, these BIC promotional pens are perfect branded items. With the ability to mix and match the cap and plug colour, this is a great every day office item that is used constantly throughout the day. A brilliant item to give to clients after a visit, this is a consistent reminder of your brand, making it a part of the clients day to day life. Great for in office branding and great as a giveaway item to schools or universities, this is a clever branded item for your brand. Don’t miss out on these awesome BIC promotional Pens, e-mail info@brandinnovation.co.za now to order your branded office items. Why an engraved pen makes a great gift South Africa- For a stunning personalised gift that is perfect for executive clients or important staff members, an engraved Parker Pen is a fantastic way to connect with clients while giving out a meaningful and functional branded gift, especially for each individual. An item that can be used every day, clients will love to show this off-sure to be seen on every executive desktop. Don’t miss out on these personalised Parker Pens and find out why an engraved pen makes a great gift, available across South Africa. Order yours today at info@brandinnovation.co.za.